The Supadance 8002 Split-Sole trainer is a NEW addition to the Supadance Collection. A unique, stylish design perfect for class and training sessions. 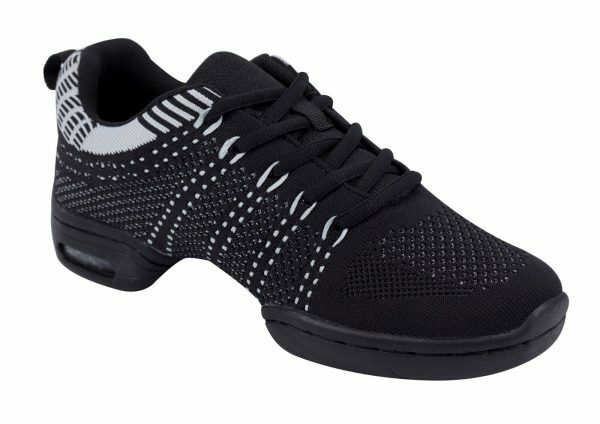 A unisex trainer suitable for both men and women dancers. 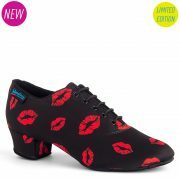 The design is exclusive to Supadance and will add glamour and style to any classroom or dance floor. 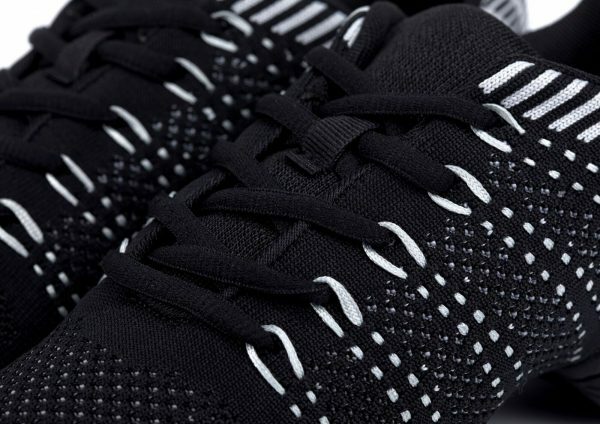 The 8002 Split-Sole trainer features a new and exciting design in a breathable black mesh. The trainer is suitable for both outdoor and indoor use, suitable for men and women and has a split sole for maximum flexibility. 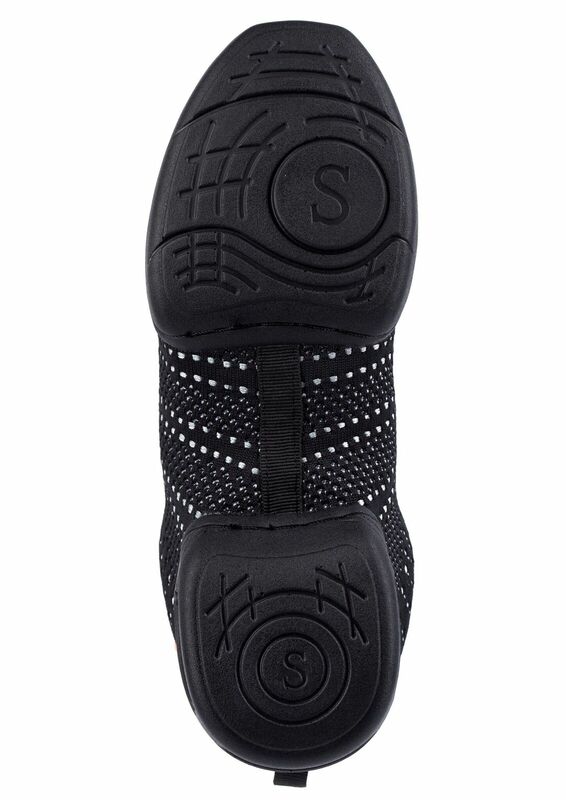 The sole of the dance shoe features a “spin spot” allowing the dancer to turn and spin easily on any floor. 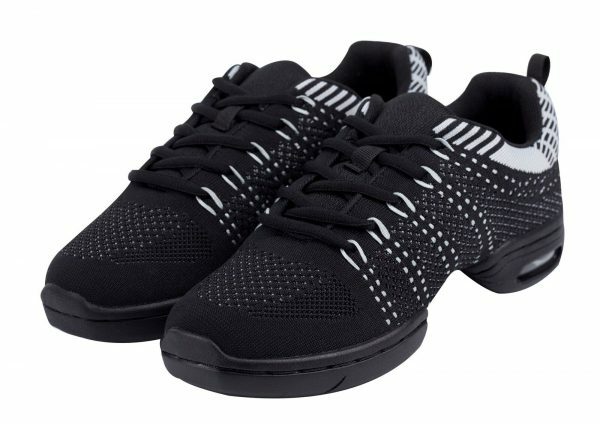 The 8002 Split-Sole trainer is available in UK Supadance sizes 3 – 12. Half sizes are not available, if you are a half size, always move up to the next larger size ( for a Size 5.5, order a Size 6). Outdoor and indoor sole with shock absorbers and spin spot. Breathable upper in black mesh.